Couleur : Ivory / Material : Ruban Strass / Taille du Ruban : env. 102 " * 1.57 " Po (Inch)..
22.85 (L) 17.75 (W) cm ..
17.75 (L) 17.75 (W) ..
3.17 (L) 1.90 (W) cm ..
Clear in Rose Gold Adjustable Ring .. 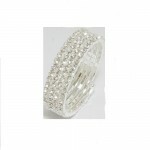 Crystal / Rhinestone / Alloy / Nickel & Lead compliant size : 17 .. Crystal / Rhinestone / Metal / Lead & Nickel Free / Color: Silver in Black .. Crystal Bug Stetch Ring with Rhinestone / Approx. Size: 1.5 " (L) 1 " (W) Metal / Lead & .. Crystal / Rhinestone / Stretch / Lead & Nickel Free / Color: Red in Silver .. 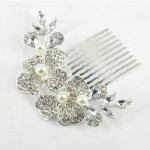 Crystal / Rhinestone / Lead & Nickel Free / Approx. Size: 1.5 "(L) 1 " (W) ..